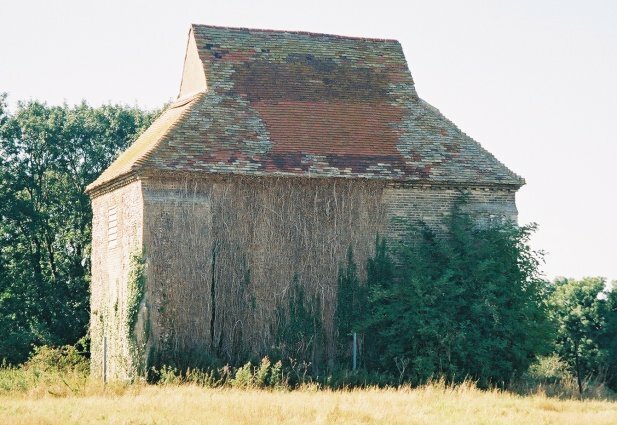 The road from Mildenhall to Lakenheath has few delights, unless you are an avid plane-spotter (or, indeed, a fan of big American cars), but just as you enter Lakenheath from the south you see this curious structure in a field to your left. 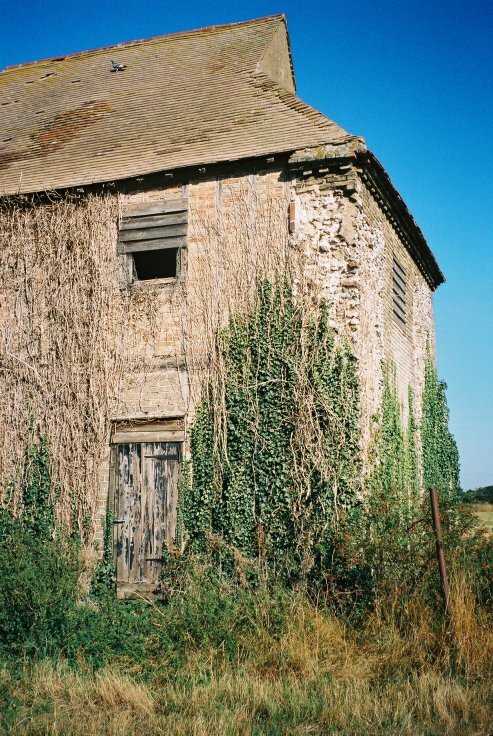 It is in the grounds of Eriswell Hall (the modern village of Eriswell, some two miles to the south, is the former hamlet of Coclesworth) and is actually an 18th century dovecote. 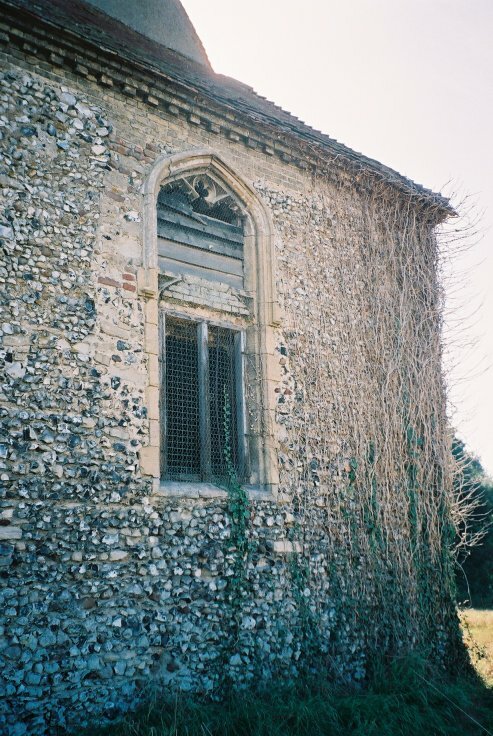 On closer inspection, however, you can see that among the expanses of white brick there are chunks of ashlar masonry, and that what appears to be a buttress is, in fact, part of the south wall of a church. This was the original parish church of Eriswell, dedicated to St Peter. The chapel of ease at Coclesworth was, however, closer to the houses, and became the parish church of St Lawrence, and so even before the Reformation the church here fell into disuse. 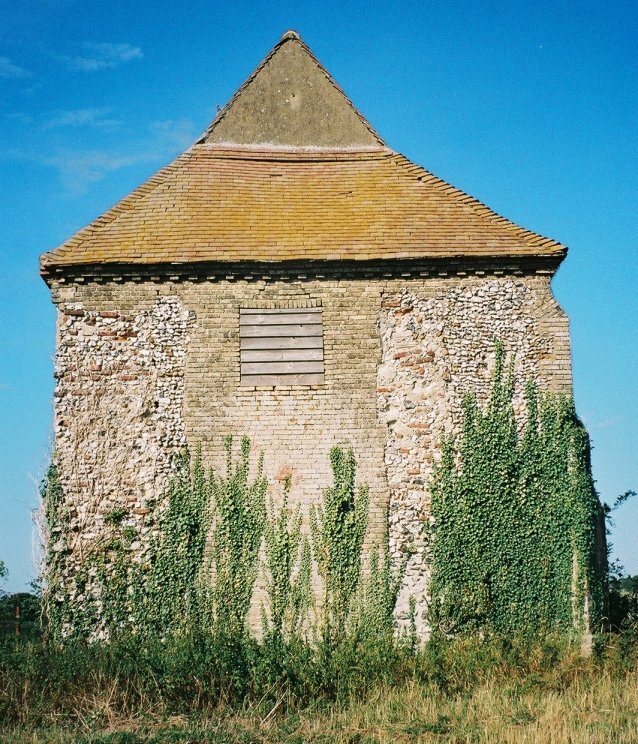 Eventually, a lot of the masonry was carted off to build the curious two-storey western extension to the tower of Lakenheath church. An engraving of the late 18th century shows the tower pretty much all still there, with a fire beacon on top of it. The nave is roofless, the chancel already gone. The great east window now sits at the western end of the church at Lakenheath, surveying the high street. If you walk around to the north of the dovecote you will see that there is still one of the nave windows in its original place. Much of the tracery has gone, but it is recognisable as one from the 15th century. A curious survival. As I stood there, a dozen pigeons bolted out of the gaps in the masonry, an extravagant flurry, a race memory.